SQL Constraints specifies the rules/limitations/restrictions for data present in table. 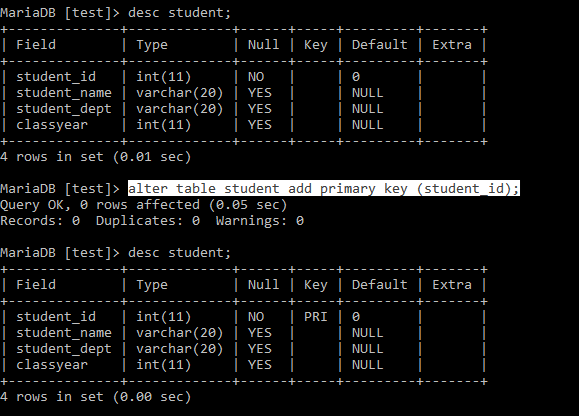 SQL Constraints are specified at the time of table creation or after table creation using ALTER command. There are two types of constraints column-level constraint and table-level constraint. As the name column level specifies, it specifies a particular column. In a table level constraint, it specifies more than one column or all columns in the table. NOT NULL: It ensures that specified column value cannot be NULL. UNIQUE: It ensures that each value in the column is different. PRIMARY KEY: Primary key ensures both NOT NULL and UNIQUE. It means value cannot be null and it should be different from each other. Therefore, primary key uniquely identifies each record in the table. FOREIGN KEY: It uniquely identifies record from other table. Foreign key is a reference to the other table and it is like Primary key from other table. DEFAULT: It sets default value when value is not given. CHECK: It ensures that all values in the column satisfy a condition. INDEX: Index is created and used to retrieve data from database. Default value for every column is NULL. Not Null constraints ensures column value should not null. This constraint always make sure column has some value. It does not allow inserting or updating record without mentioning value to this field. User can add this constraint to single or multiple or all columns of the table. In the above example, NOT NULL constraint is applied on two columns student_id and student_dept in STUDENT table while creating table. 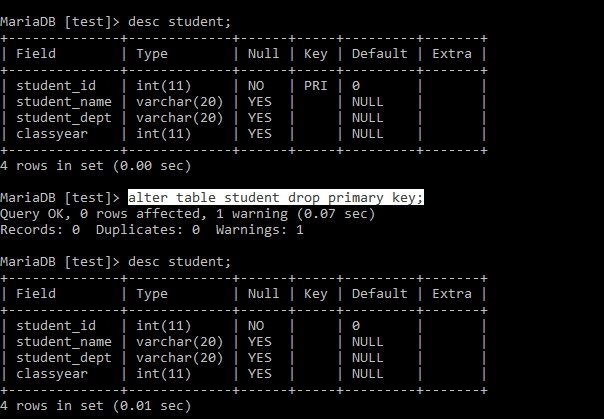 Description of STUDENT table shows which columns can be NULL or cannot be NULL. 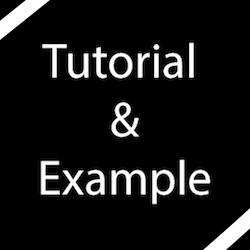 See the output screen at the time of inserting values in table, not null constraint does not allow entering NULL value to those fields on which constraint is applied. Unique constraint avoid duplicate entries in column. One table can have multiple unique keys. You can write above query in other form. Primary key uniquely identifies each record in the column, one table have single Primary key. Primary key can be a single column or group of columns. The DEFAULT constraint is used to set the default value to the column. This constraint can be applied on single column or multiple columns. NULL is a default value to all the columns in table. When user apply not null or primary constraint on any column then its default value is changed. 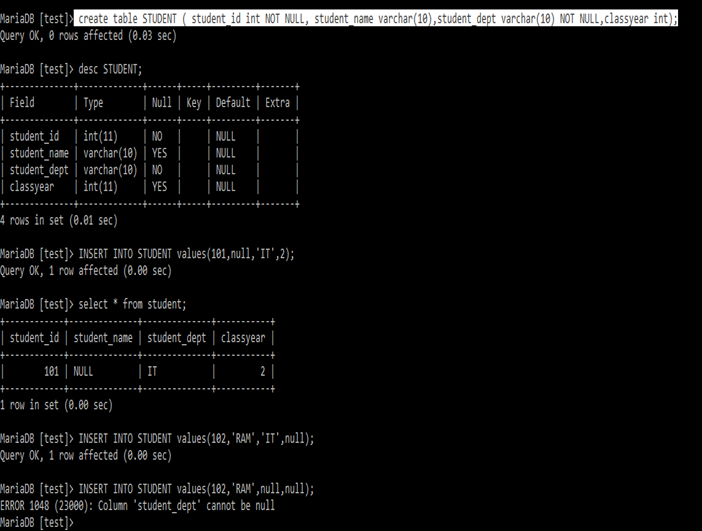 Output screen shows default value ‘IT’ assigned to column student_dept. ‘IT’ value set to the column student_dept when no value is provided for the column student_dept. Foreign key is a link between two tables. Primary key of one table can be reference/foreign key of another table. The table, which contains foreign key, called as child table and other table whose primary key referred as reference that table be a parent table. User has to enter records in parent table before child table if there no data present in parent table. One table can have single primary key. Here, DEPARTMENT is parent table and STUDENT is child table. Primary key of DEPARTMENT table referenced as foreign key in student table named as dept_name. It may be possible that two table can have column with same name. Suppose in student table dept_name is present with different name like student_dept or anyting it does not create any problem. Table may contain one or more foreign key.